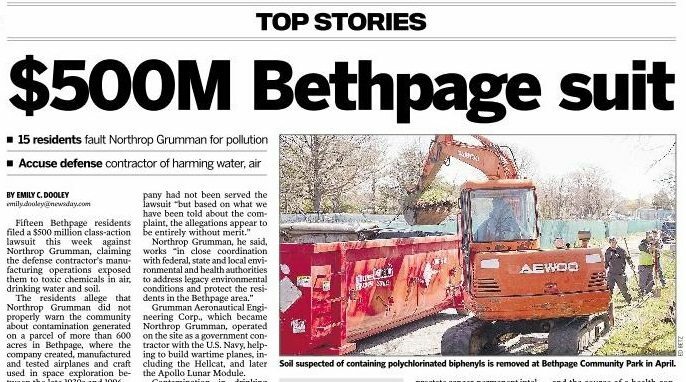 As was reported by Emily C. Dooley of Newsday LI, the Napoli Shkolnik PLLC lawsuit alleges that Bethpage residents were exposed to toxic chemicals in the air, water and soil due to the defense contractor Northrop Grumman’s manufacturing operations. The local residents say that Northrop Grumman did not properly warn the community about the contamination generated by the creation, manufacturing and testing of airplanes between the late 1930s and 1996 in the Bethpage community. According to the lawsuit, residents were exposed to numerous cancer-causing toxins. In addition to personal injury and property damages, Bethpage residents want Northrop Grumman to pay for a medical monitoring program to track the health of residents and research the effects of prolonged exposure to the chemicals associated with the site. Grumman Aeronautical Engineering Corp., which became Northrop Grumman, operated on the site as a government contractor with the U.S. Navy, helping to build wartime planes, including the Hellcat, and later the Apollo Lunar Module. Contamination in drinking water was discovered in the late 1940s. Volatile organic chemicals were detected in the mid-1970s, and the site was added to the state superfund list in 1983. Several groundwater plumes have been traced to the site, and one has stretched more than three miles from Bethpage. Bethpage residents should register their information with the firm by completing the confidential online submission form. The firm represents clients on a contingency basis. Bethpage residents will not have to pay a legal fee unless the firm successfully recovers on their behalf. 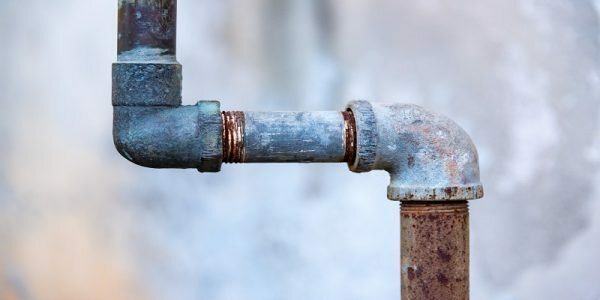 NAPOLI SHKOLNIK PLLC attorneys have represented many water districts located on Long Island and have recovered over $3 Billion dollars for their clients. 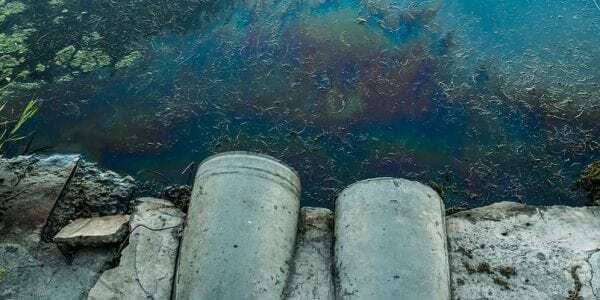 The firm’s attorneys have represented residents of neighboring towns that were exposed to harmful chemicals as a result of devastating oil spills. One of the few women at the top of the mass tort litigation field, Ms. Napoli was the founding partner of the law firm responsible for a landmark billion-dollar series of settlements in a major pharmaceutical case. Napoli Shkolnik PLLC is seeking $500 million in damages for personal injury and property damage claims, as well as punitive damages. 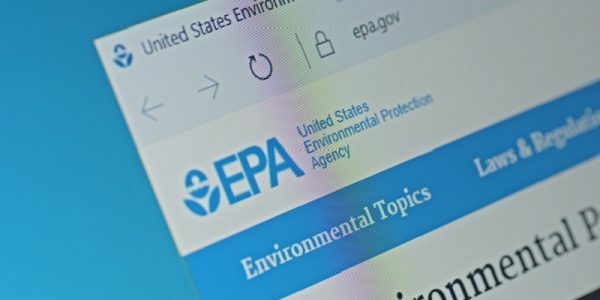 The complaint also seeks the establishment of a medical monitoring program to pay for past and future costs of obtaining necessary medical care to treat the injuries suffered due to the contamination. We know you have questions – and our team can provide the answers. For additional information please call or email us today: (844) 230-7676. We do not charge upfront fees in negligence cases such as this. What is the Bethpage Toxic Plume?